Audiowerks is your one-stop custom shop. 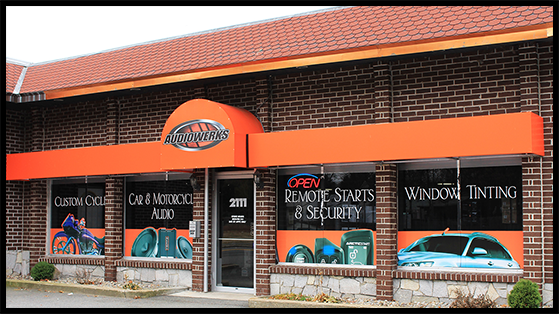 Our highly trained technicians have over 40 years of combined experience to customize your vehicle with amazing sound systems, convenient remote starters, tinted windows, and much more! All work is done in-house so we can get the job done efficiently! Contact us for a FREE estimate on customizing your vehicle. Take a look at our install galleries or bike gallery to get an idea of what we offer. Audiowerks Custom Cycles is the motorcycle division of Audiowerks. We got our start creating stereo systems for baggers. We still specialize in bagger audio, but we now offer custom and complete builds. 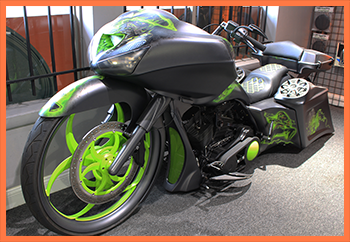 Whatever you drive or ride, give it a unique touch with custom paints, extended bags and fenders, wheels, air ride suspensions, lighting, and much more.